The “mother of all senses”–touch is the sense which became differentiated into the others. The skin is the most ancient and largest sense organ of the body, yet few arts engage it directly. 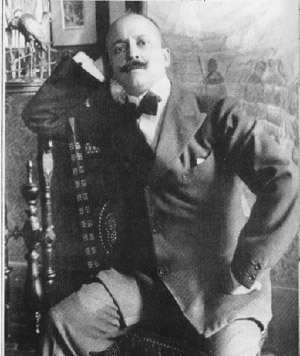 In his 1921 The Manifesto of Tactilism, Futurist Filippo T. Marinetti outlined a radical new “Art of Touch”. It is in this spirit that I propose to bring “poems told by touch” to Bumpkin Island via the construction of a small tactilist theatre. poems told by touch: a Tactilist Theatre from Erik Conrad on Vimeo. September 16, 2008 Full documentation, including video, is coming soon. For the time being, please refer to this web album. 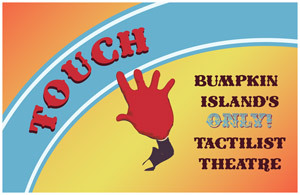 September 3, 2008 Despite a cool reception from the Dadaists Bumpkin Island's Tactilist Theatre was a great success. Many, many brave souls closed their eyes and took an aesthetic adventure through the world of touch. I thank them all for their kind participation. This second installment of Art Encampment fared very well, with many unique site-specific works and over twice the amount of visitors as last year's event. The encampment was mentioned in both the Boston Globe [article, pictures] and the Boston Phoenix, which had the good taste to discuss the theatre. Kudos! to all involved. 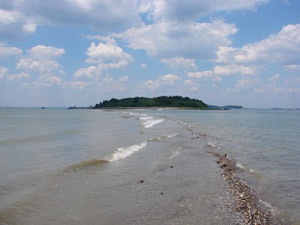 July 26, 2008–I made a trip to Bumpkin Island this Saturday and spent the better part of three hours walking and trying to see for the sense of touch. July 18, 2008–A Theatre for Tactilism begins! Thanks to a generous grant by the Bumpkin Island Land Office, our tactilist theatre finally has a (brief) home. Please join us for our Grande Opening Celebration on August 31, 2008 or our Grande Finale on September 1, 2008! Prepare to feel! CORE SAMPLE by Teri Rueb and ICA's Art on the Harbor Islands without whom I may have never known the islands.